Would you like to be off the grid completely? Off-grid power systems, or "Stand Alone Power Systems" (SAPS) provide electricity to properties that are not connected to the public electricity grid. These types of systems operate as their own independent power stations, and are often used for rural homes, business or even entire remote communities. Many of us dream of being off the grid completely, and totally independent of electrical distributors and retailers. However, financially, this isn't always feasible. In this case, having a grid-connected hybrid solar system with battery storage is the best option. Find out more about those here. For those who live in remote or rural regions however, going off grid IS the most financially viable option, compared to the high costs of becoming connected to the public grid. Sam programming the Selectonic Inverter for this Narada Battery Bank installation. This Stand Alone system is on a 100 acre farm in Garfield North. Do you need an off-grid, stand alone power system? 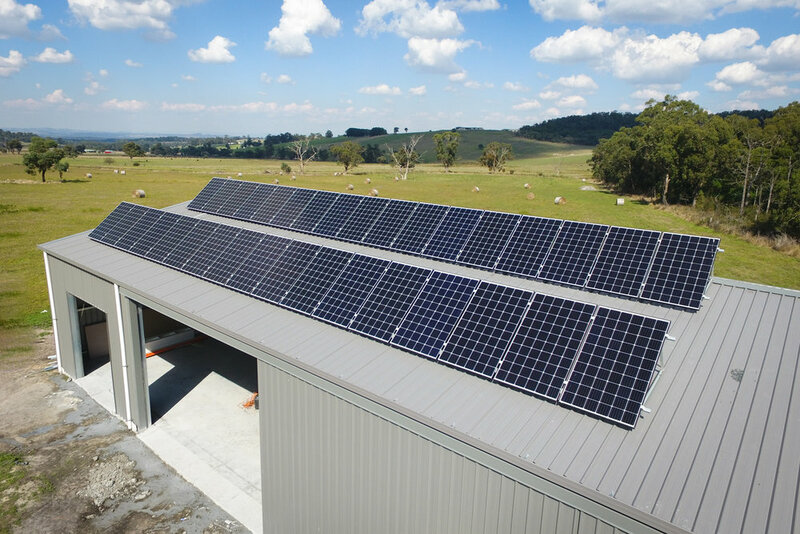 Sunscape Electrical has a wide range of experience in helping rural home owners become off-grid, and are able to provide you with a reliable, independent power system that will stand the test of time. 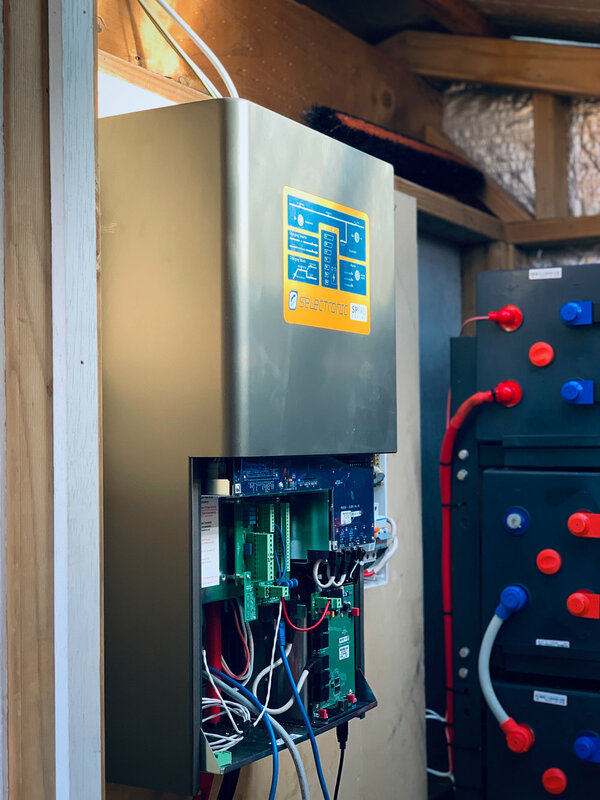 Investing in an off-grid battery storage system is not only a large financial investment, but there are many other considerations to take into account also. You want to be sure you are installing quality components and equipment, to ensure you will have no problems with powering your home day in and day out, for many years. Designing and sizing your system correctly is also central to achieving a reliable system which will operate seamlessly to meet your needs. We work with you to design your system according to your own individual needs. Your Energy Load Profile - how much energy your system will need to deliver, based on a list of all your appliances and utilities. This helps us to determine the perfect sized system for you. Solar Panel Array - the best location and position for your array to maximise exposure to the sun. Batteries - the size required based on your Energy Load Profile, and also their location and positioning. Inverter / Charger - this needs to be sized to the peak power (kW) requirements of your property. 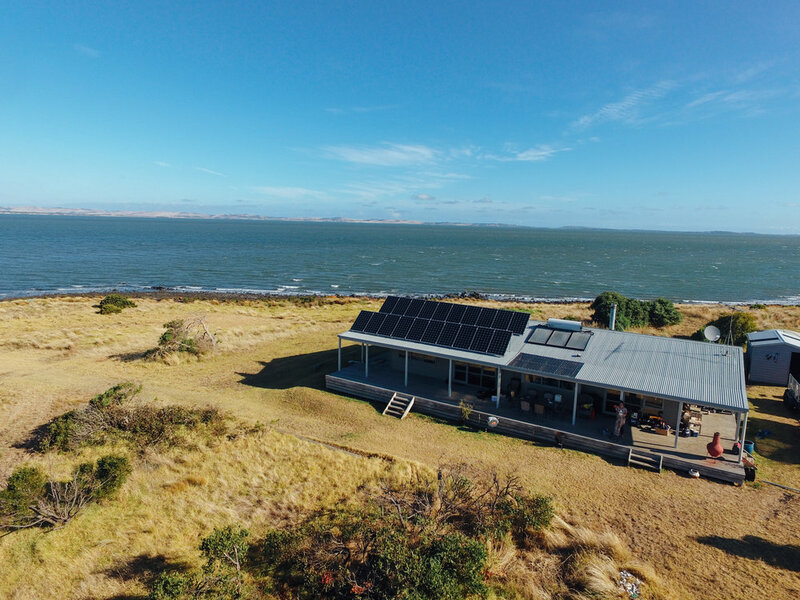 In February, 2019, the team installed a new stand alone power system on Elizabeth Island, for the sole owner, Anne Tillig. Elizabeth Island is only 65 acres in total area, and only accessible by boat. The French Island barge was used to transport all the equipment across to the island, and the guys lived in site while they installed the system, which was replacing the older battery system that had become outdated. The system consisted of 6.2kW of Longi 310w panels on tilt frames, a Fronius 5kW inverter, a Selectronic SP Pro (7.5kW supply for 24/7 use) and a Narada Lead Carbon 48V 1200Ah battery bank, with 40% depth of discharge. This system was wired into the existing generator system to autostart when the batteries require additional charge. If you want to find out more, or get a firm quote on an off-grid system, fill in our contact form here.